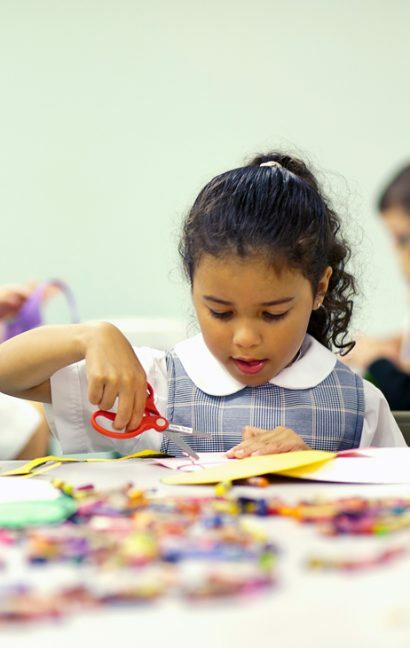 St. Peter School is pleased to offer full day kindergarten with competitive class sizes. St. Peter’s kindergarten students will acquire those skills necessary for success in the next stage of their education in the subjects of Religion, Reading, Writing and Mathematics, Science and Social Studies. The objective of the Kindergarten program is the acquisition of academic readiness skills and socialization skills. Kindergarten is a time to play, learn, and grow together. The children will acquire those skills necessary for success in the next stage of their education (firstgrade) in the subjects of Religion, Reading, Writing and Mathematics, Science and Social Studies. The objective of the Kindergarten program is the acquisition of academic readiness skills and socialization skills. The children will experience living with other children and adults, loving others, and learning with others. ~ The children will practice getting along with each other, sharing, and caring for others. To learn that there are three persons in the Blessed Trinity. To experience God, through faith. To see the church as the community of faith that builds God’ kingdom. To celebrate holy feasts and seasons. To learn about the Saints, and Mary the Mother of God. To count from 1 to 100 and to identify written numerals. To understand if a number / numeral is greater than or less than another. To be exposed to addition and subtraction. To say the alphabet in order, and to recognize an isolated letter. ~ To know the phonetic sounds of consonants. To be familiar with blending sounds. To learn the Dolch list words by sight. To follow along as words are read to them from the board, from a big book, and from a work page. To communicate effectively (show and tell). To understand and respond through the spoken word. To develop and apply thinking skills. To expand personal interests and talents through communication. To classify objects as living / non-living and according to shape, size color, etc. To know about the sources of energy: light, heat, and sound. To write words on paper. To write from the left to the right and to place the letters in order. To write to the edge of the right margin and to continue to write on the next line. To determine where a word begins and where a word ends. To write letters correctly formed, sized, and neatly, as per the Palmer Manuscript method. To know that families are alike and different. Each family is unique. ~ To explore and use maps and calendars. To know school safety rules. To recognize basic symbols of USA and NJ. To recognize the difference between needs and wants.